The Ethington Dance Ensemble is throwing a dance party—and you’re invited! 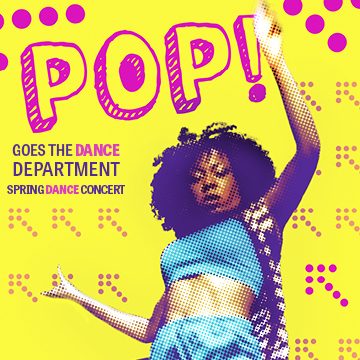 This pop-inspired production features mash-ups of various dance forms and chart-topping songs that make you want to break out your best dance moves. Celebrating popular culture, POP! is a high-energy compilation of electric beats, artistic expression and eye-catching movements you won’t want to miss. Space is limited so sign up today!